Dr. Clifton Howard serves as District Superintendent (DS) for the South District of the Central Texas Conference. 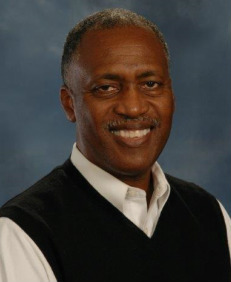 Dr. Howard has been in ministry in the Central Texas Conference (CTC) for more than 30 years and prior to this appointment served as the senior pastor of St. Andrew’s UMC in Arlington, Texas. During his three decades of service, he has led 12 different and diverse congregations in rural, urban and suburban settings, and served as the Brownwood (now West) District Superintendent from 2001-03 and as the Waco (now Central) DS from 2003-09. Though he has been in church and district leadership positions since 1982, Dr. Howard first and foremost understands himself as a disciple of Christ – a disciple that is continually learning and growing in the knowledge and grace of Jesus Christ. Dr. Howard and his wife, Barbara, have one son, Cory, daughter-in-law, Lili, and four grandchildren—Daisy, Kaitly, Cristian and Matthew. He enjoys basketball, tennis, golf, watching television and movies.